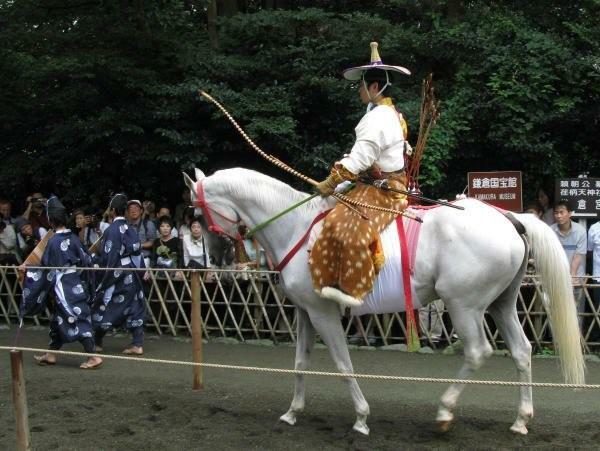 The great samurai leader, Minamoto Yoritomo placed his headquarters in Kamakura in the late 12th century. 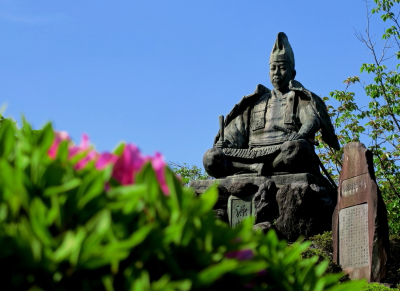 The first samurai government (the new political system) he established, known as Bakufu, lasted for about 700 years and came to an end in 1867 with the Meiji Restoration when sovereign power was returned to the Emperor. 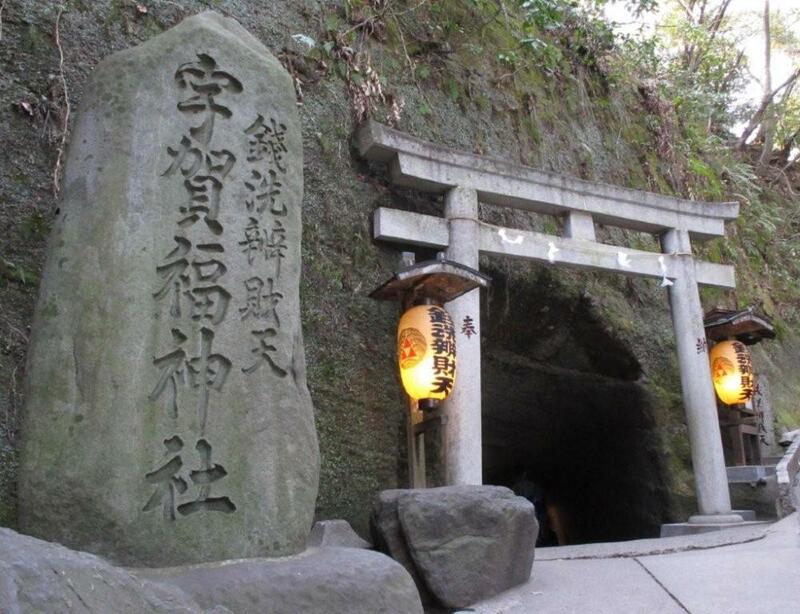 It is said that Yoritomo chose Kamakura as his headquarters due to its geographical aspects. Kamakura was strategically easy to defend with the surrounding steep hills on the east, west and north sides, and also was convenient for ocean transportation as it faces the ocean on the south side. Kamakura was the ancient Shogunate capital city for about 150 years until the capital moved to Kyoto, and the spirit and culture of samurai during this period are thought to have significantly influenced today's culture, such as religion, architecture, works of art, cuisine, etiquette, etc. 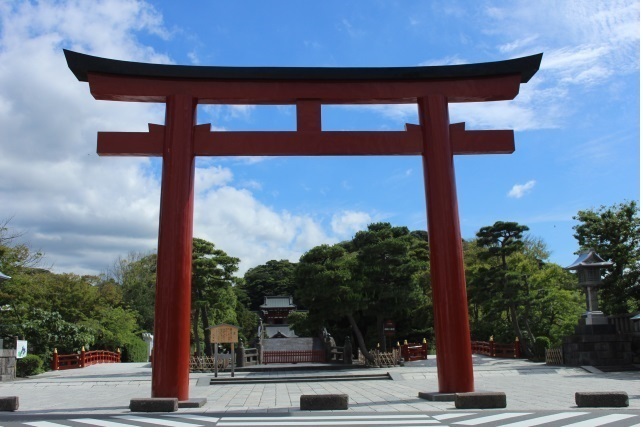 This is the largest native shrine and one of the most popular tourist destinations in Kamakura. This shrine was founded in 1180 by then shogun Minamoto Yoritomo, who transferred the shrine from Yui-Wakamiya to the present site. 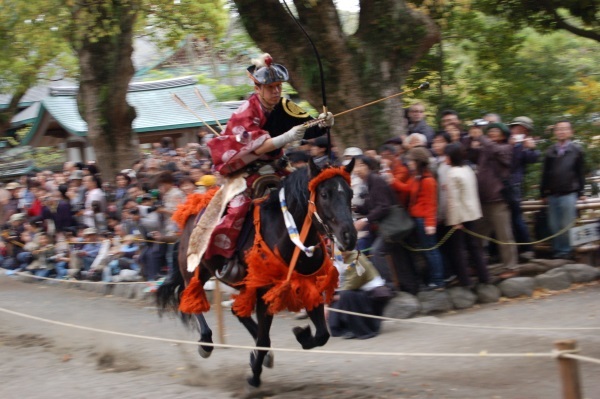 It is famous for its Yabusame, horseback archery performed in April and September every year, and Dankazura, the elevated approach to the shrine lined with cheery trees on both sides. In the early spring, it is worth walking through Dankazura to the shrine under the cherry blossoms. Admission is free. 15 minutes on foot from JR Kamakura Station. 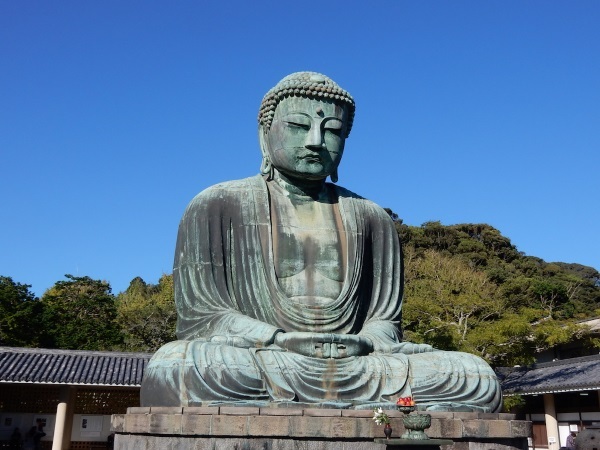 This is a seated statue of Amida Nyorai (designated as a national treasure), one of the biggest Buddha statues in Japan. It is said that the bronze casting started in 1252 and took more than ten years to complete. The statue used to be seated in a building but the building was destroyed due to a series of natural disasters that happened in the 14th century. The statue itself is about 11 meters-tall and weighs 121 tons. Who initiated and supported the construction of such a big statue, who designed it and other details remain unknown. Kotoku-in ( the Great Buddha) is worth a visit. Admission fee: 200 JPY. 10 minutes on foot from Enoden Hase Station. One of the oldest Buddhist temples in Kamakura. It is famous for its 11 headed wooden statue, known as Kan-non, which is 9 meters-tall and lacquered with gold leaf. 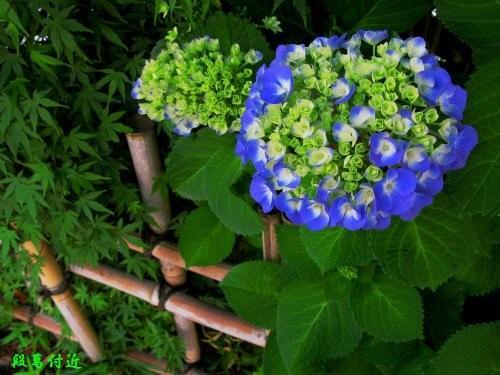 It is also known for its beautiful flowers and blossoms. 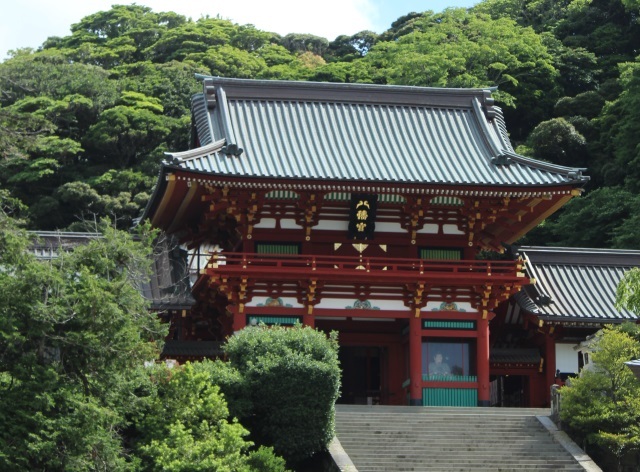 The upper area of the temple overlooks wonderful Sagami Bay. It is worth a view. Admission fee: 300 JPY. 5 minutes on foot from Enoden Hase Station. 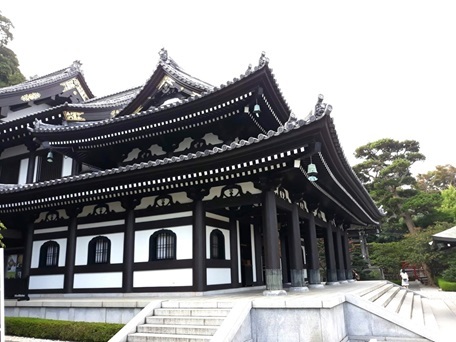 Established by then regent Hojo Tokimune to console the souls of both the Japanese and Mongolian warriors, who died during the Mongolian Expedition to Japan. 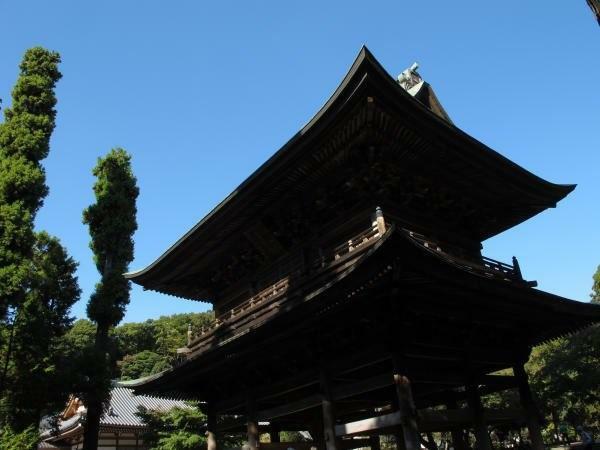 Its temple bell and Shariden (a building where holy relics of Buddha are enshrined) are designated Japan’s national treasure. Admission fee: 300 JPY. 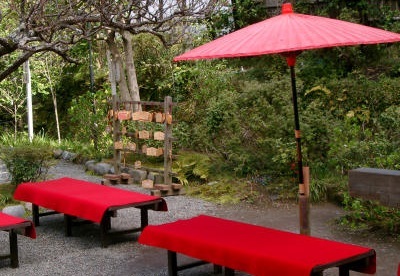 1-minute walk from JR Kita-kamakura Station. 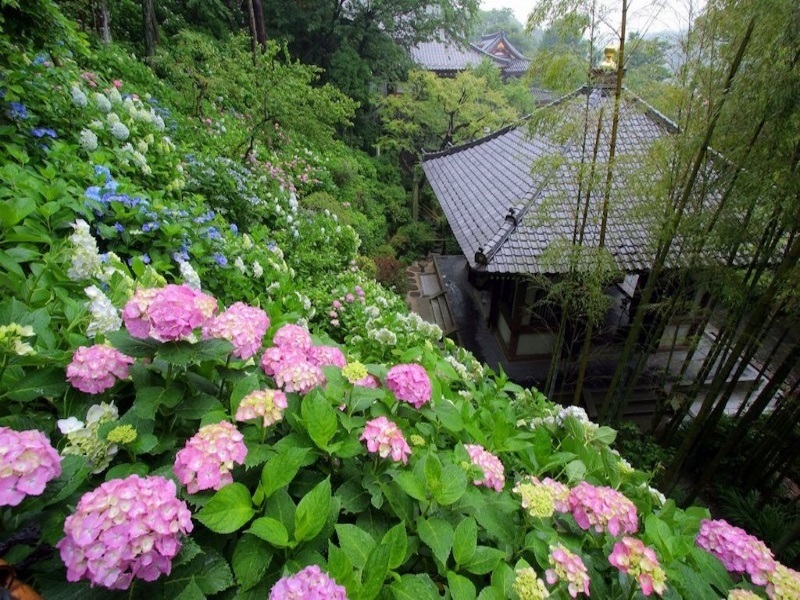 This is one of the oldest Zen monasteries in Japan, founded in the 13th century. 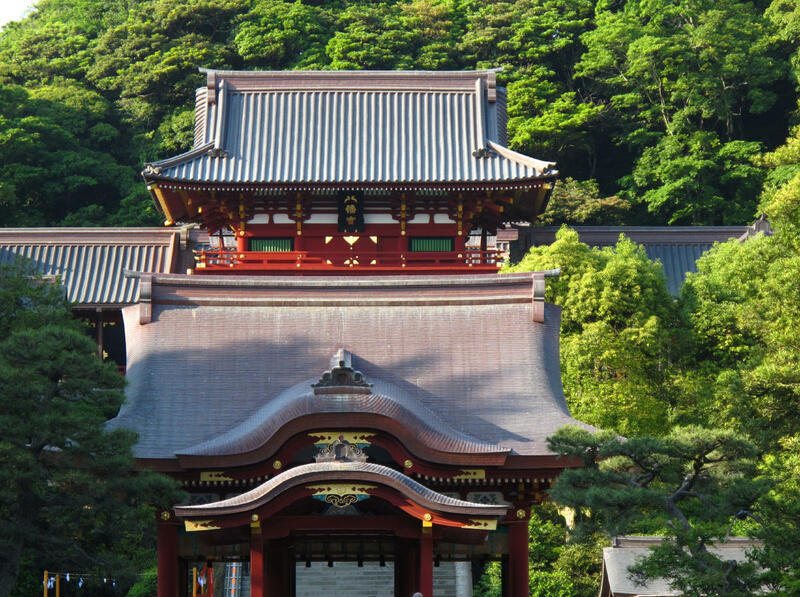 The temple ranks top in Kamakura Gozan (ranking system of five great Zen temples). 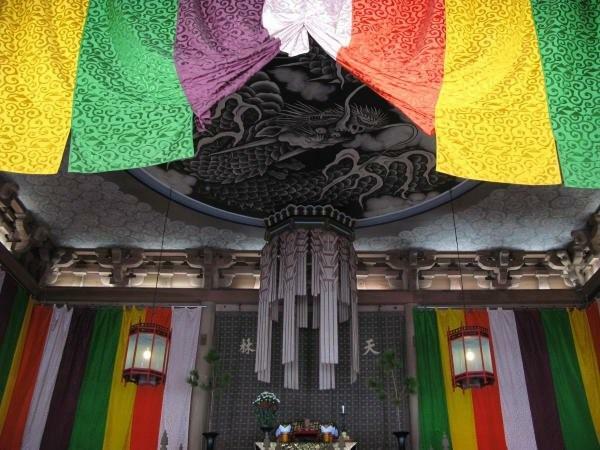 Its bronze bell (Japan’s national treasure) and a dragon painted on the ceiling of Dharma Hall are worth a look. Admission fee: 500 JPY. 15-minute walk from JR Kita-kamakura Station. 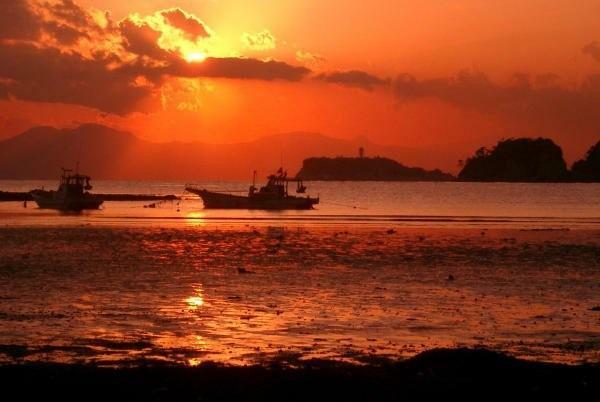 The photo is a breathtaking view of a dramatic sunset from Zaimokuza beach. On a clear day, especially in winter, you might be lucky enough to view Mt. Fuji behind the Enoshima island at Zaimokuza beach or Inamuragasaki beach. 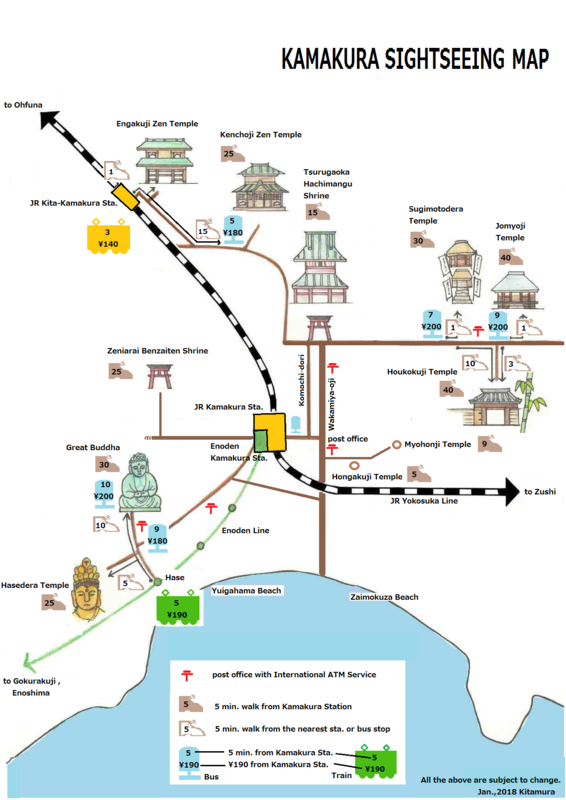 You can walk to the beaches from most stations of the Enoden (Enoshima Electric Railway). 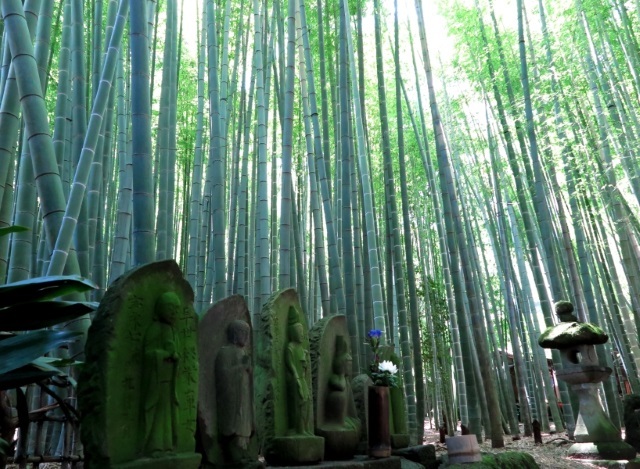 This temple is known as “Bamboo Temple” for the bamboo grove inside its grounds. Listen to the sound of 2,000 bamboos trembling in the breeze as rays of sunshine filter through them. Attain peace of mind sipping matcha green tea there. Admission fee: 200 JPY. Match green tea is 500 JPY. 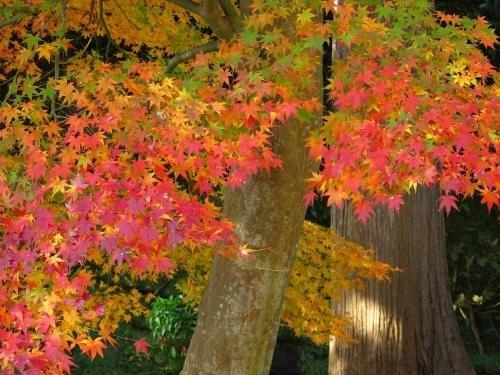 15 minutes by bus from JR Kamakura Station. One of the most popular native shrines in Kamakura because of the unique myth associated with it. Legend has it that if you wash money with spring water in the shrine and spend it properly, the money will multiply and come back to you later. Why not try it and become rich? Admission is free. 30 minutes on foot from JR Kamakura Station.